All students are required to bring a personal laptop/tablet pc to classes every school day. It is important to keep in mind that that the device must meet our minimum requirements. 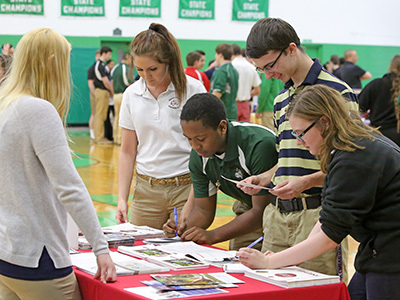 As a college preparatory Catholic high school, Providence Catholic focuses on skills that will help your students beyond high school and into the college or university of their choice. 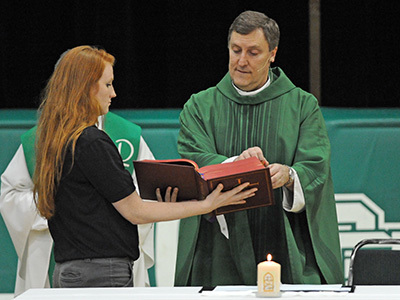 Preparation for college involves teaching about our Catholic faith, as well as the traditional academic disciplines such as Mathematics, English, Science, and more. 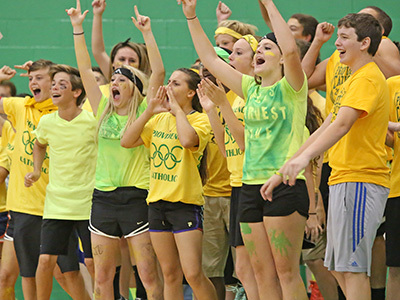 Providence Catholic also incorporates the appropriate use of technology tools and devices in the educational setting. We take very seriously our responsibility to prepare our students for a world in which the use of technology is not optional, but an integral part of everything they will do. Technology has a huge impact on how students learn best, what they need to learn, and how they collaborate and express themselves in effective, engaging, and interactive ways. Successful students need not only to read, to write and to perform research. They also need to be critical thinkers and problem solvers. They need to be able to collaborate effectively and communicate to a larger audience. They must also be able to leverage digital resources, to be flexible and adaptive with rapidly emerging technologies. It is increasingly more important than ever that students be self-sufficient as they move from device to device, application to application, and environment to environment. 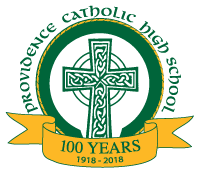 Providence Catholic students will acquire the skills necessary to select and use digital tools which will empower them in all areas of the learning process: research, problem solving, content creation, creativity, communication and collaboration. Our students will be trained to be innovative, to think critically, to ask questions and carefully evaluate the answers they find. They will learn to communicate with their peers, experts and others, and use creativity as they solve problems and demonstrate their learning.